What If Lance Armstrong Hadn't Doped? 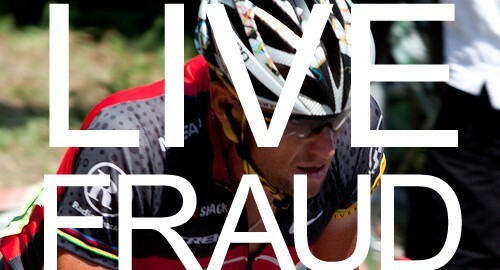 What If Lance Armstrong Hadn’t Doped?. It’s February 1997 and Lance Edward Armstrong is declared free of the testicular cancer that had nearly killed him just months before. He was ready to resume his promising career but faced a difficult decision over how to rejoin a sport where cheating was akin to winning and officials by and large ignored the presence of performance enhancing drugs. Maybe Lance Armstrong was doping before he had cancer (a fact he apparently admitted during his interview with Oprah). Maybe he wasn’t. But what we do know about Lance Armstrong is that beginning in the early 1990s, he had already begun to establish himself as an up and coming cyclist who was beginning to make a mark in the European circuit. No one has ever doubted Armstrong’s cycling ability and in a perfect world, he likely would have won his Tour de France titles against a clean field but cycling practically invented modern endurance doping and it still holds a strong grip over the sport today. The results of the Tour de France from 1996-2007 are essentially worthless given that most of the competitors in the top 25 of each race’s general classification have been linked to doping scandals or have admitted as much. After he finished chemotherapy, he essentially had a clean slate. Without EPO and blood boosters he might finish top-20 but certainly wouldn’t have what it takes to win against a rigged field. If he began to dope again, with his body essentially rebooted, he would have an opportunity to reach the pinnacle of competitive cycling but questions about his performance would persist. Armstrong chose the latter and won seven consecutive Tour de France titles while becoming a symbol of hope and earning an estimated $100 million. Now his legacy is that of a coward, the exact opposite of anyone who has ever battled cancer. The long-term effects of his upcoming admission of doping and the past eight years of allegations, trials and French investigative journalism have eroded any shred of credibility and he’s become a persona non-grata. Let’s instead imagine a world where Armstrong was clean. He likely doesn’t win a single title though his comeback rides may have given him the best chance against a field devoid of top competition. History would judge him as a brave man who rode thousands of miles knowing that he had no chance to win and that would further endear him to the American public. He would still be in demand as a motivational speaker and continue to cement a strong legacy as a symbol of courage to the millions of Americans who are fighting or have fought cancer. Livestrong, now in its 16th year, would not have grown into the organization it is today but it would face a bright future and avoid the negative publicity of the very public divorce with its founder. The biggest difference though is that Lance Armstrong’s reputation would still be intact and the narrative of a man on death’s doorstep who fights to win his battles in both life and sport would be an unbroken testament to the hope and determination of mankind. SEO ContentLeadershipWhat If Lance Armstrong Hadn’t Doped?